WWF Russia has announced the snow leopard census results. The population of the snow leopard in key population groups in Russia is up to 61 snow leopards, including 23 cubs in 11 litters, according to latest estimates of WWF Russia. 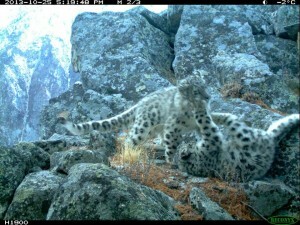 The results of the wide-scale snow leopard monitoring initiated and supported in 2018 by WWF Russia Altai-Sayan Programme have proved that the snow leopard population has been stable in Russia for the last three years. The monitoring annually covers the areas of the Republics of Altai, Tyva, and Buryatia within the boundaries of the Altai-Sayan Ecoregion, the last refuge for the rare predator in Russia. 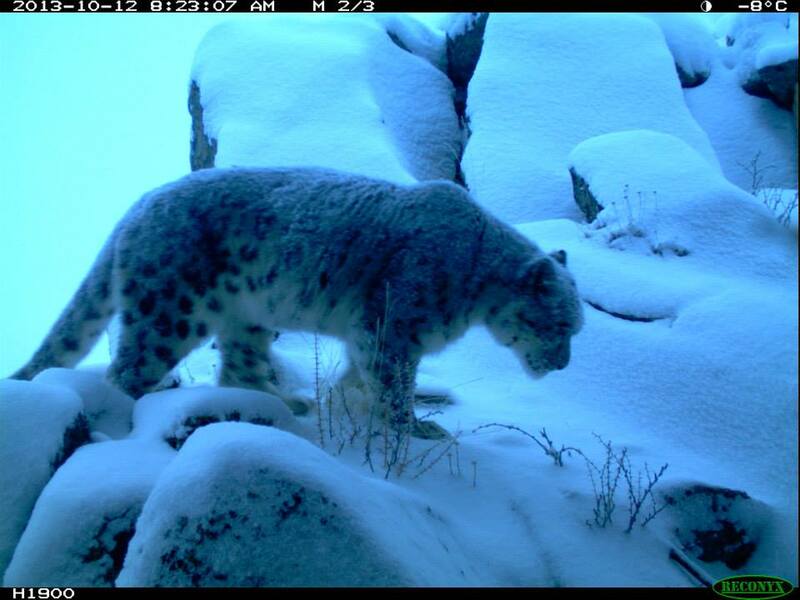 This past winter, the monitoring experts covered 70% of the snow leopard habitat in Russia. According to census results, there are 61 snow leopards, including 23 cubs and 38 adult individuals. Monitoring techniques included visual observation of pug marks, camera-trap photography, and genetic analyis. Dr. Misha Paltsyn and Dr. Rodney Jackson, Director of the Snow Leopard Conservancy, helped to train park rangers in camera trapping and drafted the standardized monitoring protocols present at a workshop in the Altay in April 2017. The Russian record for number of cubs in one litter was registered in the Republic of Altai with the female snow leopard giving birth to four cubs. WWF Russia hopes that snow leopard will obtain governmental support and attention as well as the Amur tiger.